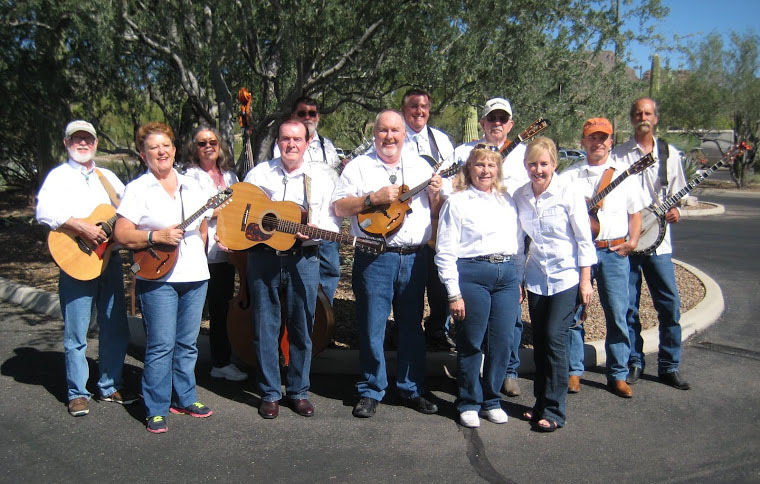 We started this workshop to help all lovers of Bluegrass attain a level of musicianship and make convenient an access from another area of southern Arizona. I have been playing Bluegrass guitar for about 4 years now. I also work at playing Mandolin, Fiddle, and Banjo. I generally work with the Beginner Bluegrass player of any instrument on introducing them to Jams. The Town of Oro Valley, in partnership with the Southern Arizona Arts & Cultural Alliance, will host a free concert series for all ages at historic Steam Pump Ranch. The live, musical performances are 10:30 a.m. – noon, and are held in conjunction with the Oro Valley Farmers Market. Admission is free, and attendees are encouraged to bring their own chairs.